Hello Friends! Lately I've noticed that I've been cooking and baking a lot of new recipes, which gets me excited because I feel like my husband and I are judges on a tv show to see which recipe is worth cooking haha. Since it's almost spring time and I've already started decorating our home with spring items, I thought why not make a spring like treat to go with it! I decided that maybe it was time to work with pastries (since they are my favorite dessert!) and create a yummy treat and share it with you guys! 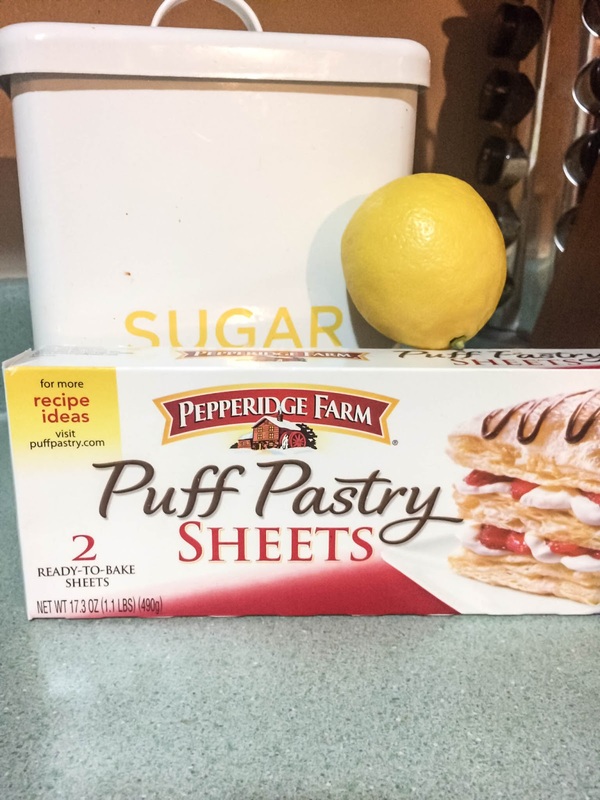 While grocery shopping I picked up two Pepperidge Farm Puff Pastry in the form of sheets so I could have a little head start on making my pastry without having to spend the extra time making the puff pastry myself. They are basically sold at any grocery store, are easy to store; goes in your freezer and is ready to create your yummy treats! There are so many things you many different recipes you can create with puff pastry sheets, your ideas are truly endless! 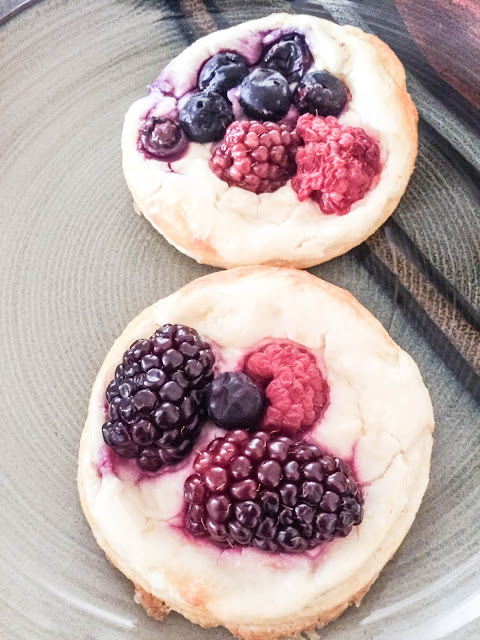 I provided a simple recipes that you can create using Puff Pastry Sheets, I decided to make a berry cream cheese pastry and it was truly delicious and you would taste the cream cheese, berries, and the lemon each seperately! Pre-heat oven to 400 degrees. Get a large cookie sheet and put parchment paper. Get your mixer out and a bowl and add cream cheese, lemon juice, sugar, lemon zest until the what will be your filling of your pastry is a very creamy consistency. 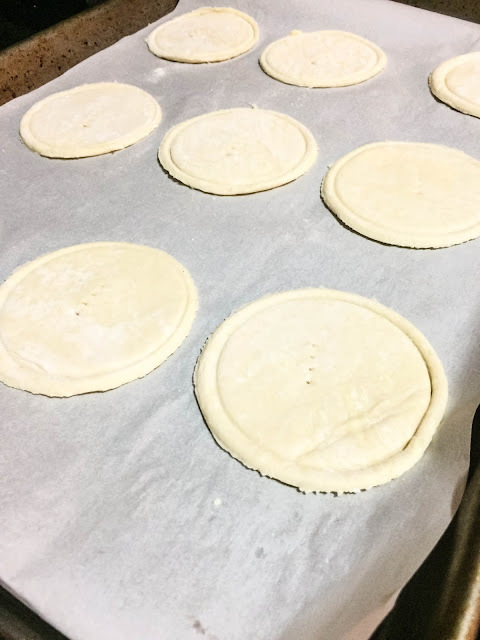 Start unfolding your pastry sheets and use a cup to cut out your circle. 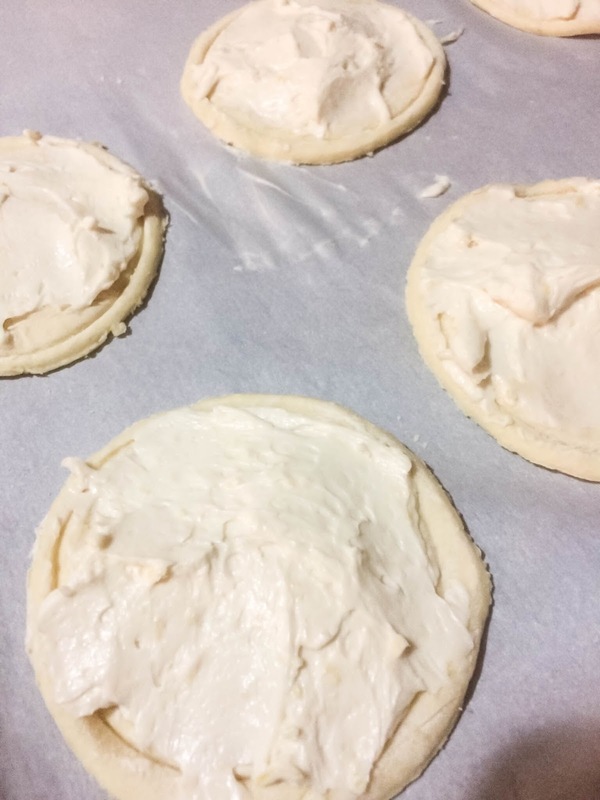 Move your cut outs to your parchment paper, then with a fork, polk the middle of your pastry. Then with a smaller cup lightly push your cup into the pastry (make sure not to cut through) this will be your edge for your pastry. 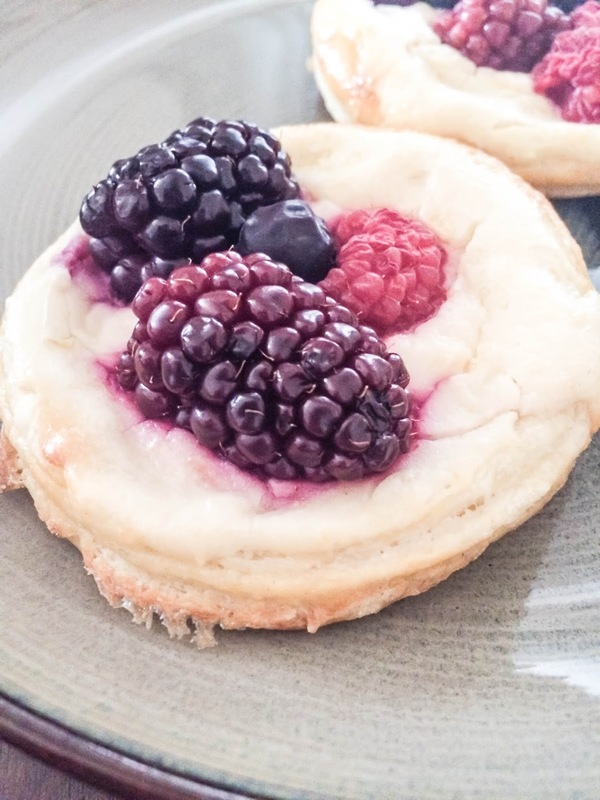 Spread your cream cheese inside the border of your circle and then add your berries. 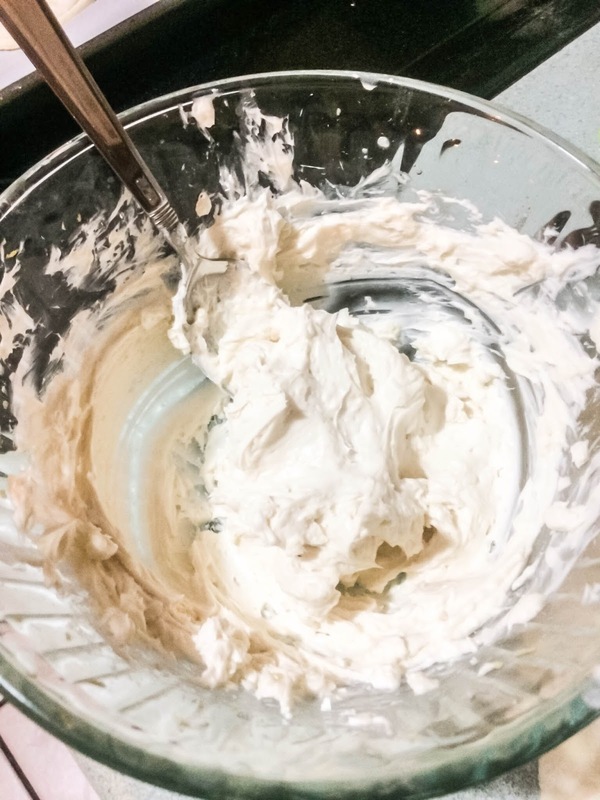 Then in a different bowl mix together the egg and 2 tablespoons together and with a cooking brush, brush the edges of each pastry. Last step. Bake the pastries for 15 minutes. Then let cool for 2 minutes and that's it! If you want to get extra fun with it, add powered sugar and it's even yummier! Okay these look AMAZING!! I need to make them asap! YUM! There's lots of variations you can with this too! Great idea! This looks delicious! I know what I'm making next time I have friends over! OH MY GOSH. I need to try these.